Bountiful Bouquet brims with the fiery colors of autumn and radiates with the warmth of the holiday season. 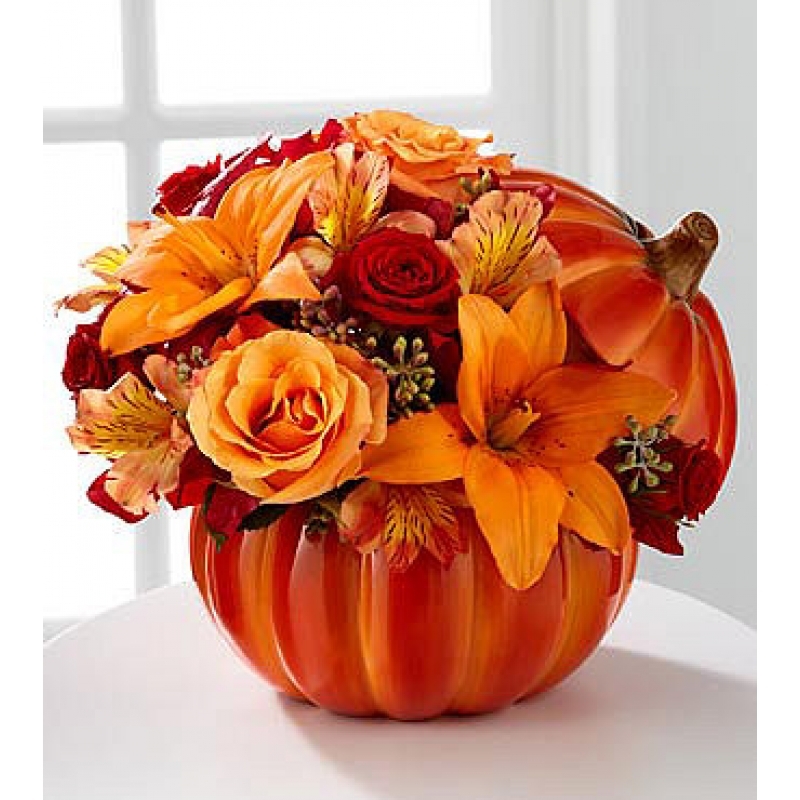 This charming arrangement comes in a keepsake ceramic pumpkin dish with a lid – a lasting gift to enjoy as a candy dish or seasonal decoration. Bright orange Asiatic lilies, red mini carnations, alstroemeria and seeded eucalyptus come together in this fanciful arrangement. Delivered fresh, it brings a fun, festive look to autumn celebrations.